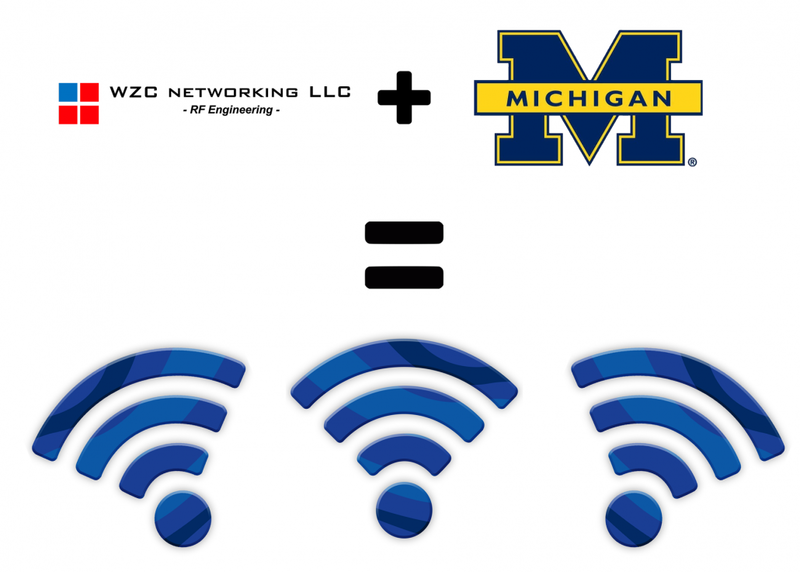 Long before staff gathered in the Diag to celebrate 200 years of University of Michigan history, members of the ITS Infrastructure network team, supported by WiFi vendor WZC, were working hard to install temporary WiFi in the Diag for this historic event. The team deployed 15 access points (APs): eight wired connections and seven connected via Wi-Fi mesh. Engineers ran network cables out of building windows, arranged for electricity where possible with use of batteries where no electricity was available, connected all the access points to the wireless controllers, and monitored the usage during the event. 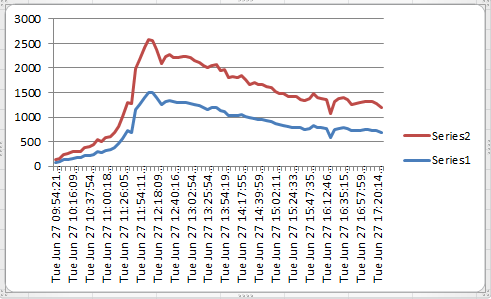 Red is the number of associated devices (not necessarily using WiFi, just connected to an AP) and the blue is authenticated, meaning passed through either MGuest login or logged in via MWireless.